This is a busy time for debate coaches in North and South Dakota. There are tournaments every weekend with post-season opportunities serving as motivation for the most serious of the debaters to continue striving for excellence. I am very fortunate to be coaching debate at a local high school and the team I work with is comprised of dedicated and talented young people. 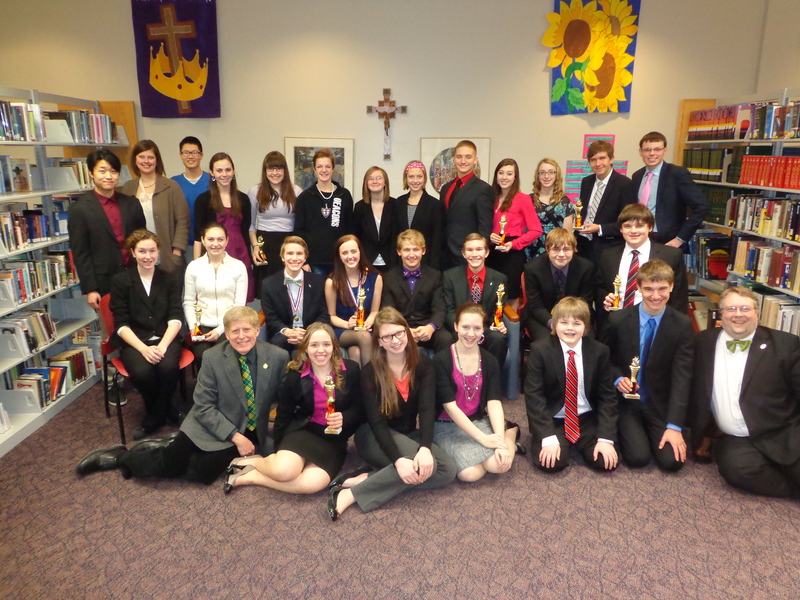 This weekend, we hosted our 20th Annual “PMJ” Debate Tournament and the team placed in five of the six divisions. The current topics the students are debating focus on the environment and providing aid to developing countries in the Sahel region of Africa. What are the right solutions to the environmental problems facing our planet? What should take priority when protecting the environment comes in conflict with extracting natural resources? Should developmental assistance take priority over military aid to developing countries? These are complex and difficult questions that the students I coach are researching and debating. In the process of coaching, I also am reading and learning quite a bit myself. Keeping up with issues facing the world (and staying one step ahead of my students) is one of the benefits of being a teacher and coach. My coaching skills can effectively cross over to service as an International Director for Lions Clubs International. Working with Lion leaders from around the world requires an awareness of the international issues they face in their own countries and regions. How can LCI help the people living in developing countries in the Sahel region of Africa as they confront natural disasters caused by climate change and the strife caused by terrorism and civil wars? How can Lions be of assistance in communities that are experiencing large numbers of new residents seeking employment in the growing energy industries? International Directors will be most effective if they have knowledge of the issues facing their fellow Lion leaders. My experiences and knowledge, coupled with a commitment to “speak up” for those in need will enable me to be a responsible and caring leader on the international stage. In closing, you can count on me to be informed about the issues and well-prepared to serve to the best of my ability if endorsed to run for International Director in 2014. That is my pledge to the Lions of MD5 and to Lions around the world. Thank you — I know well your gracious ability to make things happen for the good of all. You have the international connections to make things happen. Making things happen is one of your great skills. Did I say you make things happen? Yes, I did. I agree with you that being a debate coach provides you with special impetus to stay current on the issues of today. I too, have always been very interested in environmental issues and I am particularly excited to hear that debate teams are dealing with the important, far-reaching issue of preserving the environment for future generations. “After all, I’m sure the goal of most individuals is to leave this earth a better place for future generations.” We are fortunate to have a candidate for International Director with such a wide-range of knowledge and experiences dealing with diversity and world-wide issues.